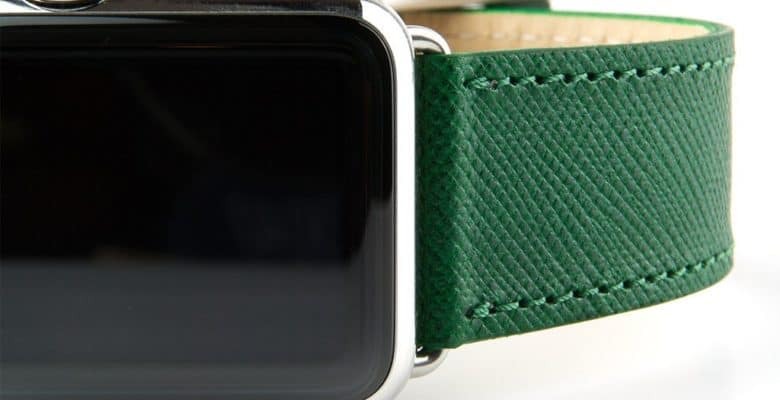 Take 20% off all green Apple Watch bands! 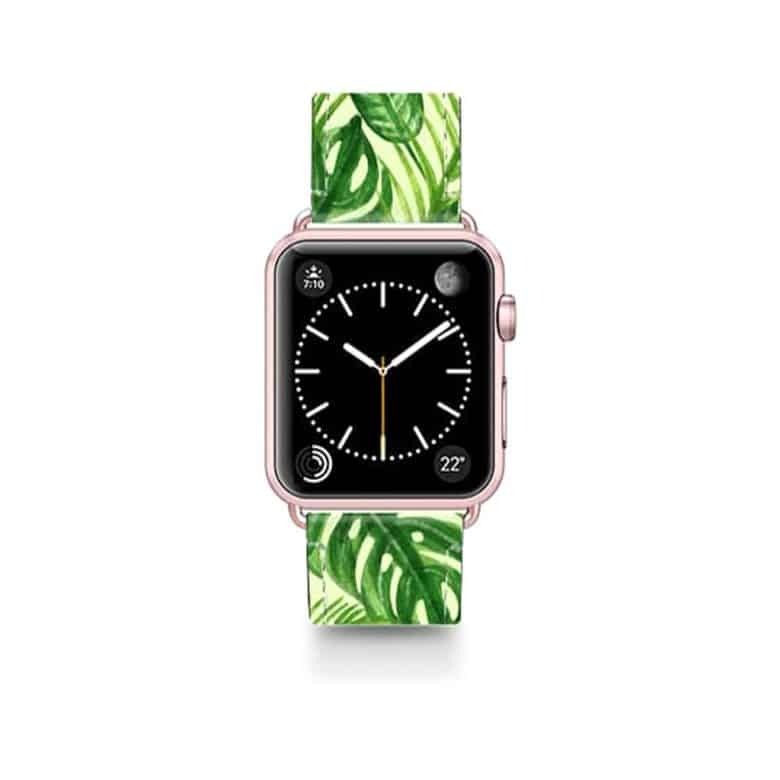 Casetify’s Tropical Green Watercolor Leather Band is made from fine Saffiano calf’s leather and designed by BlackStrawberry. This strap’s artwork is handpicked and curated exclusively for Casetify. Buy this band here. Save 20 percent by using code IRISH2018 at checkout! 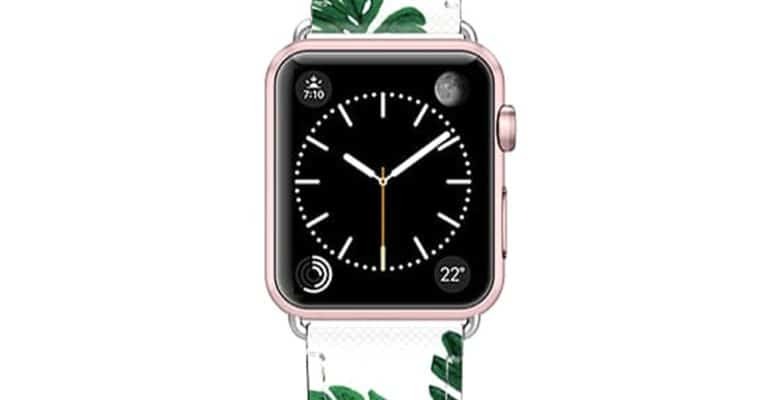 Casetify’s Tropical Palm Leaves Leather Band is made from fine Saffiano calf’s leather and designed by Rachel Corcoran. This strap’s artwork is handpicked and curated exclusively for Casetify. 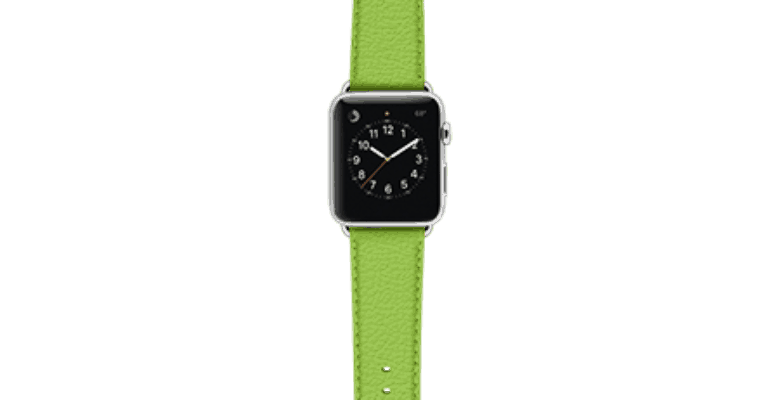 The Premium Leather Band in Lime from ullu is made from fine Italian calf leather — each patina is different and unique and changes over time. Adapter and buckle are stainless steel. Assembled with original genuine Apple adapters. 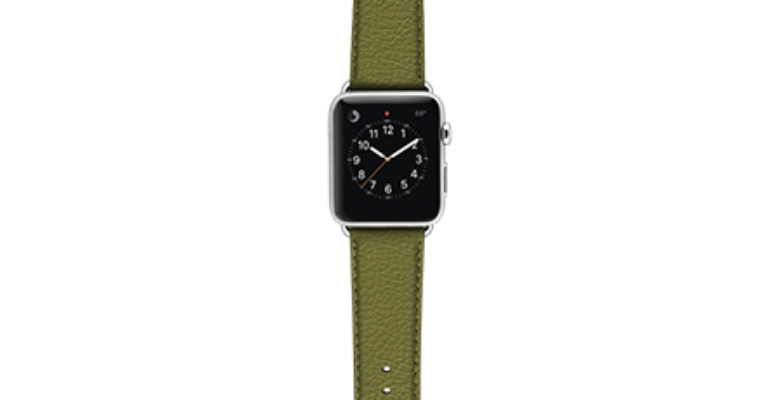 The Premium Leather Band in Olive from ullu is made from fine Italian calf leather — each patina is different and unique and changes over time. Adapter and buckle are stainless steel. Assembled with original genuine Apple adapters. 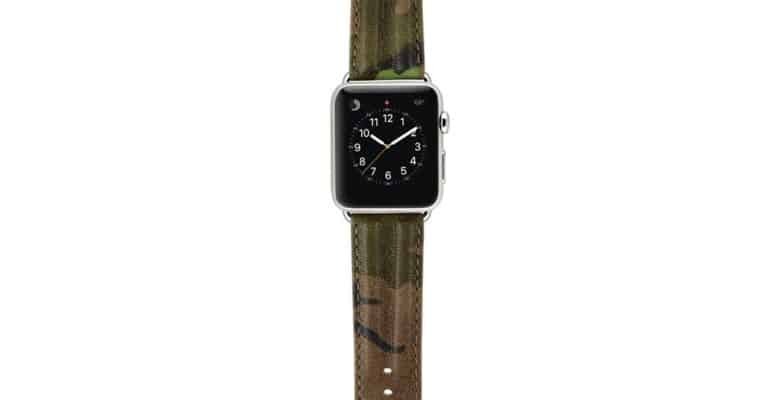 The Premium Leather Band in Army Woodland from ullu is made from fine Italian calf leather — each patina is different and unique and changes over time. Adapter and buckle are stainless steel. Assembled with original genuine Apple adapters. 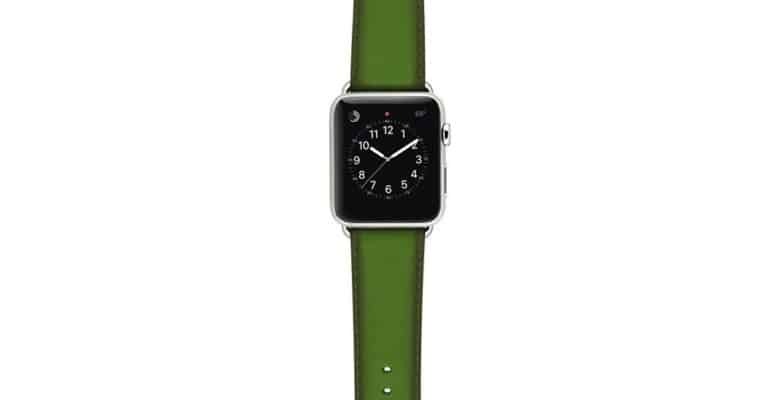 The Hand-Colored Leather Band in Lime from ullu is made from Italian calf leather that is hand-colored by expert colorists — each patina is different and unique and changes over time. Adapter and buckle are stainless steel. Assembled with original genuine Apple adapters. 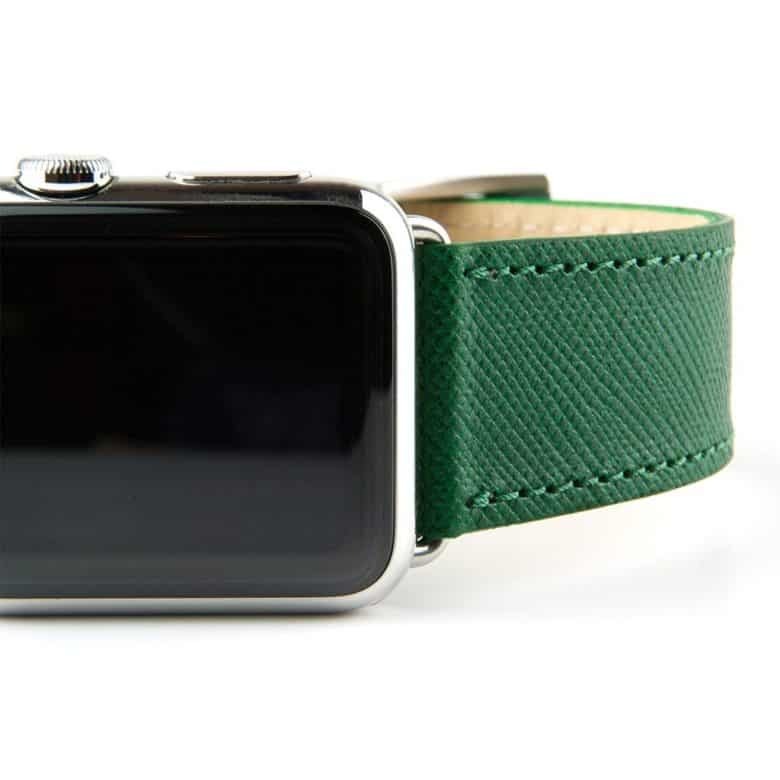 The Apple Watch Strap in Reverse Shell Cordovan Leather from E3 Supply Co is handmade from equine leather. It takes at least six months to complete the process of tanning and polishing the oval-shaped shells. 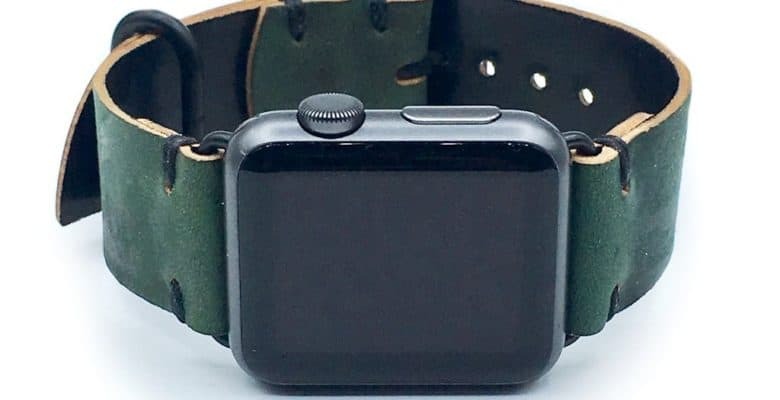 The Russian Green Apple Watch Strap from Clessant is made from embossed calf leather — the leather is a remake of that found aboard the Metta Catharina, a doomed shipped filled with Russian leather that sunk in 1786. The crosshatch pattern offers a discreet yet remarkable texture and is highly resistant to wear.